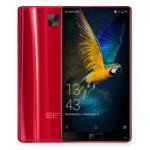 Elephone is a popular brand when it comes to budget smartphones that offers varieties of specs. The Elephone S8 smartphone is an almost tri bezel-less smartphone that comes with a lot of features at a budget price. Besides having a name semblance to Samsung Galaxy S8 smartphone it comes with a rather different approach in terms of design. To further have a look at what these smartphone has to offer, read further.